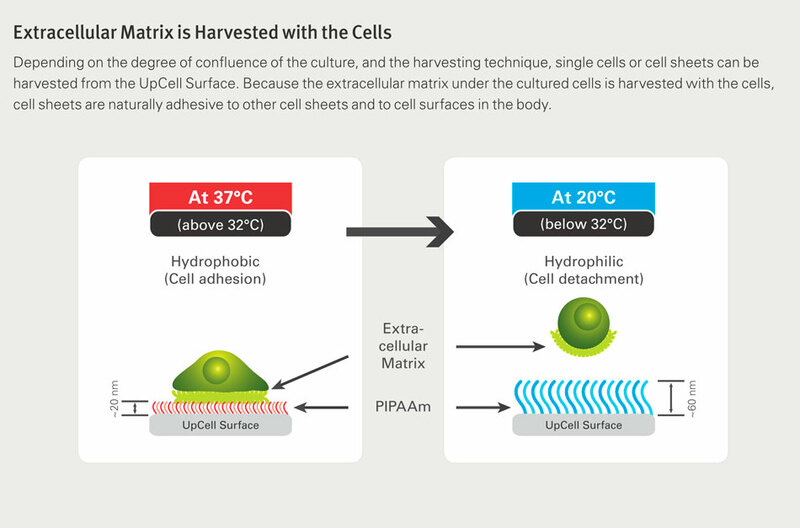 Traditional cell harvesting by enzymatic and mechanical methods often compromise the integrity of surface proteins and the viability of harvested cells. 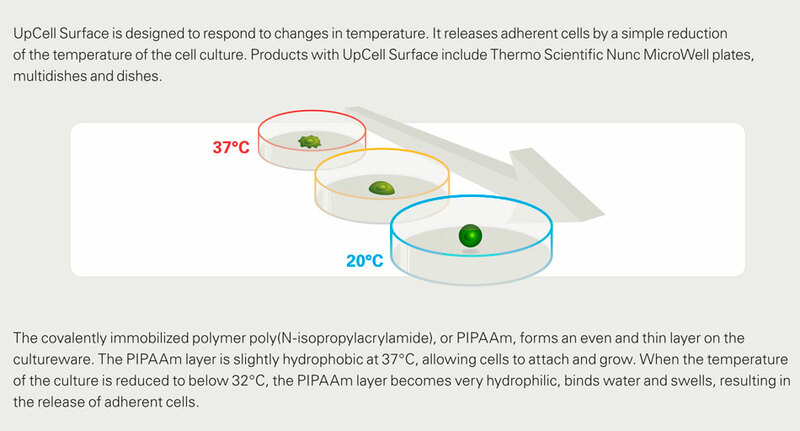 By contrast, the UpCell Surface allows cell harvesting by simply reducing the temperature of the cell culture to below 32°C without the need of enzymes, resulting in highly viable cells with intact cell surface proteins. Minimal hands-on time Nunclon Delta surface treatment.